Over the last couple of weeks a few of my favorite bloggers have featured their favorite kitchen gadgets. I've loved reading these posts because I like to know what other people find helpful in the kitchen. If I can buy a cheap gadget that will make dinner prep a little bit easier, I'm all for it. 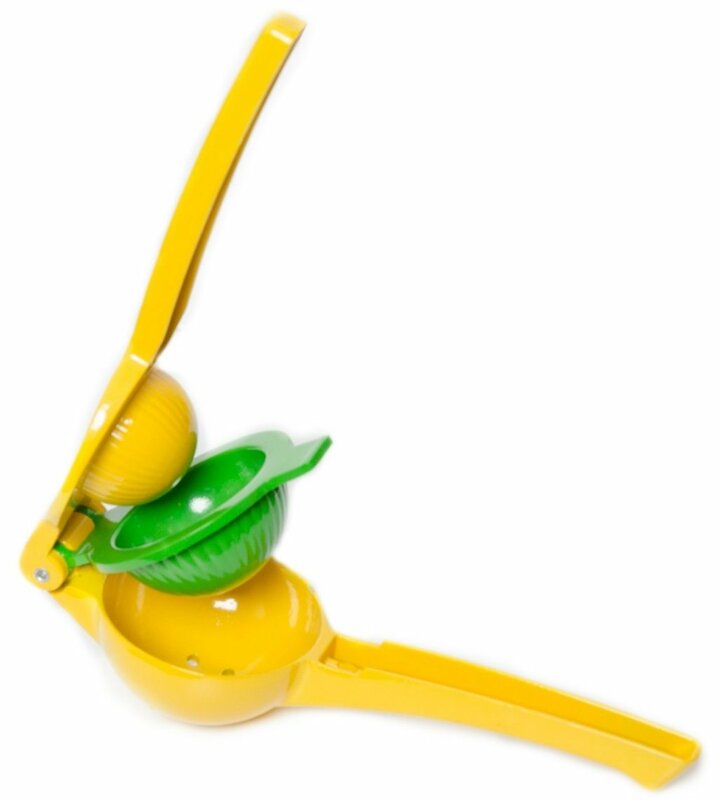 My first favorite is a citrus squeezer. Until I owned one I thought it was completely unnecessary. I received on in my Christmas stocking a few years ago, and now I couldn't imagine not having one. This takes all the work out of squeezing lemons and limes, and I find that I get so much more juice out of the fruit when I use this. Plus the little holes are small enough to catch the seeds, a major plus in my book. Find it on Amazon here. 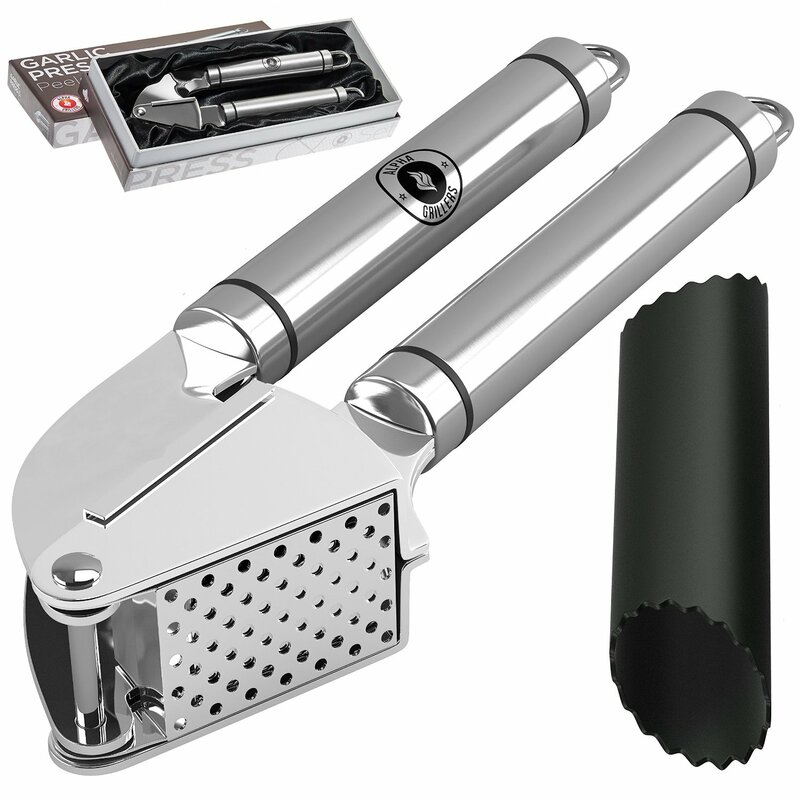 I think most people probably already have a garlic press, but the key is to have a good quality one. I like the heft of this one and that it has stainless steel handles. The stainless steel can actually help with getting that awful garlic small off of your hands. It's dishwasher safe, and comes with a garlic peeler. Find it on Amazon here. 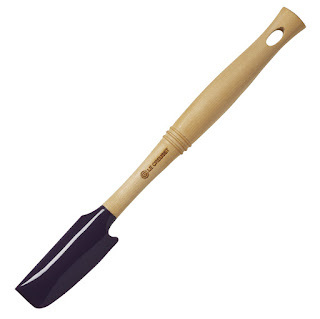 I hate to waste, and small spatulas are perfect for getting the last drops of spaghetti sauce or mayo out of the jar. Plus with the Le Cruset brand, you know it's going to last. We received a few for wedding gifts 3 years ago and they still look brand new. Find it on Amazon here. 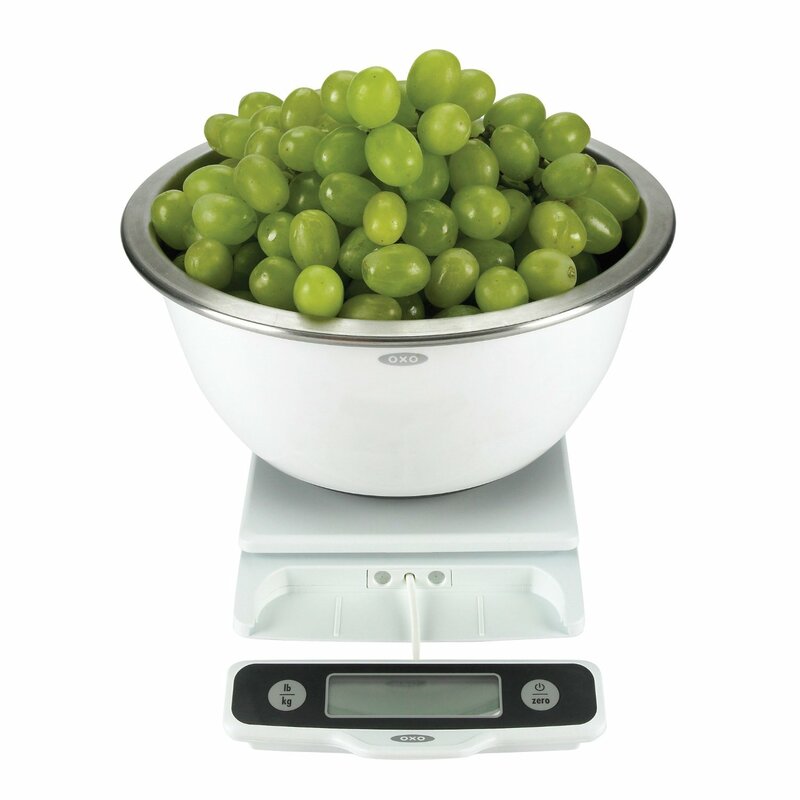 This Oxo Kitchen Scale was another wedding gift we received. I figured it was something we'd use only on occasion, but I find myself pulling this out weekly. I weigh leftovers to make sure they're equally portioned and measure butter while baking since it's more accurate than the measurements on the stick. Find it on Amazon here. 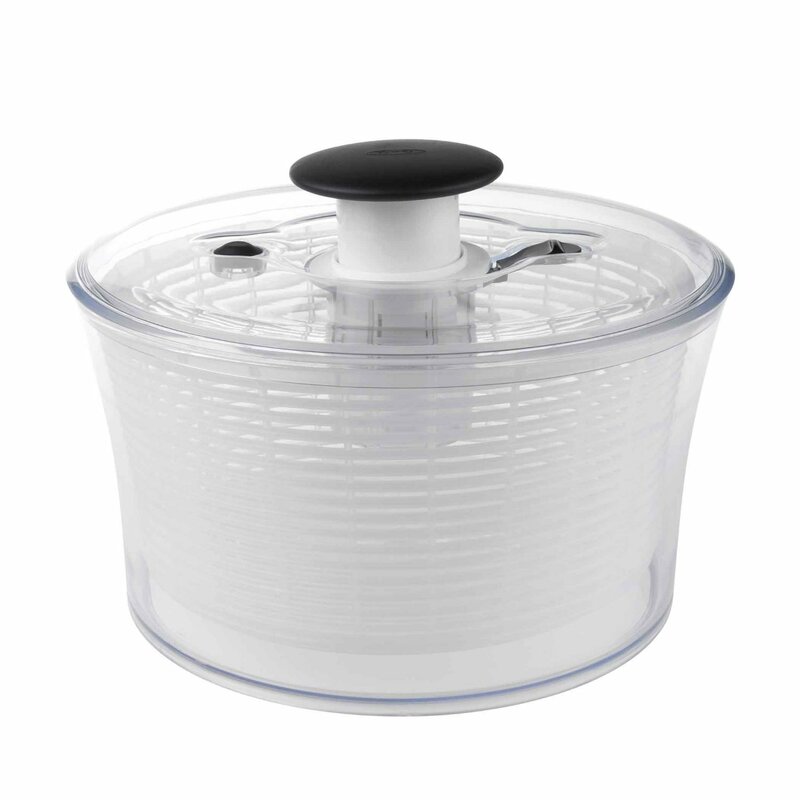 Everything Oxo makes is such great quality, and this salad spinner is no exception. 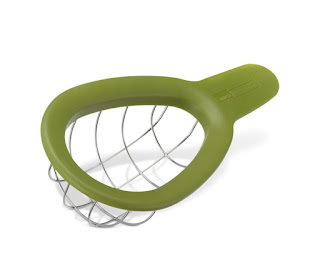 It has rubber feet on the bottom that keep it from shifting, and it can easily come apart for cleaning. I used to use a colander for cleaning lettuce, but this little guy makes the task so much quicker. Find it on Amazon here. An avocado cuber does sound super unnecessary, but it is amazing how much time it will save you while making guacamole. Once you cut the avocado in half and remove the pit, you press this down into the half and give it a little twist. You're left with avocado cubes that can be dumped into a bowl and mashed for guac. Seriously, so simple. Find it at Williams Sonoma here. Do you have any favorite kitchen gadgets? I'd love to get some more recommendations! The cuber is genius! I love my garlic press but cleaning it is a bia! Literally everything on this list is on my 'must buy' list! Definitely need to get my hands on that juicer and avocado slicer! I love my cherry pitter! Only use it a couple of times a year, but boy is it a time saver!